Spring in Malaga will officially arrive on March 20, 2019 at 10:58 pm. This is the moment when what is known as the “spring equinox” happens. After the Spring Equinox the nights will be shorter and the days longer until the arrival of the summer solstice during the Midsummer’s Eve on June 21. Under cold waves there are many who wonder about spring, when temperatures begin to rise. The word equinox comes from Latin and means “equal night”. It is used to indicate the time of year when the length of the day is equal to the night in all places on the planet. This phenomenon occurs twice a year; in the northern hemisphere March 20th or 21st marks the beginning of spring and September 22nd or 23rd announces the arrival of autumn. The spring equinox also marks the last day of Holy Week in Malaga. After this day the Sunday after the first full moon will coincide with Easter in Malaga. Do not confuse the equinox with the solstice, the latter indicates the time of year when the sun reaches its highest or lowest height in the sky and when the duration of the day or night are the largest. How does the arrival of spring affect us? The arrival of spring always fills our hearts with joy, with this explosion of colours and fragrances, the first green leaves on the trees and the renewed strength that can be experienced everywhere. We are happier, we dress more joyful, we began to make plans and we can finally keep the thick socks in the closet. Spring is here! During the Spring equinox a day begins that will last 6 months in both the North and South poles. The equinox occurs at a certain time not throughout the whole day. There are rituals during the equinox that are simple to practice and will bring us benefits. This is one of the four seasons that we find in the temperate zones of the planet and that precedes the summer. When does it start? Spring officially begins on Wednesday, March 20, 2019. When does spring end? On 21 June the summer solstice takes place during the Midsummer’s Eve, which marks the end of spring. With spring the temperature increases gradually. In our culture it represents youth and love, equal to the flowering of plants and the singing of birds. There is a popular proverb in Spain, “durante la primavera la sangre altera” (literally translated as “during spring the blood alters”). It is the season of love for the great variety of visual stimulations, something that has been represented in art over time. The almond blossom had already anticipated the arrival of spring during the month of February. It is true that in the province of Malaga winter is almost non-existent and the seasons pass from autumn to spring. This eternal spring is the reason many foreigners from Nordic countries end up settling in this region. To the “inexperienced” eye, everything looks green, lush and flourishing throughout the year. We who live here, however appreciate the change of season with the arrival of sweet scents given off by some plants and trees; an intoxicating and unmistakable aroma carrying the message that spring has arrived in Malaga! No need to go to the countryside to enjoy the abundance that nature gives us; the streets and squares in Malaga and gardens and hills of the Costa del Sol municipalities are bursting with colour and aroma: The bright pink of Bougainvillea, the cheerful yellow of the Acacias and soon, whole streets are covered with a spectacular lilac of blossoming Jacaranda trees. But there is not only the visual delight. Who walks these days along the Costa del Sol can delight in the delicious aroma of winter jasmine and orange blossom, a sweet and intense fragrance that anticipates the warm Andalusian nights. Enjoy, enjoy, fill up the lungs and savour it; soon will arrive the first swallows, bringing the summer heat. 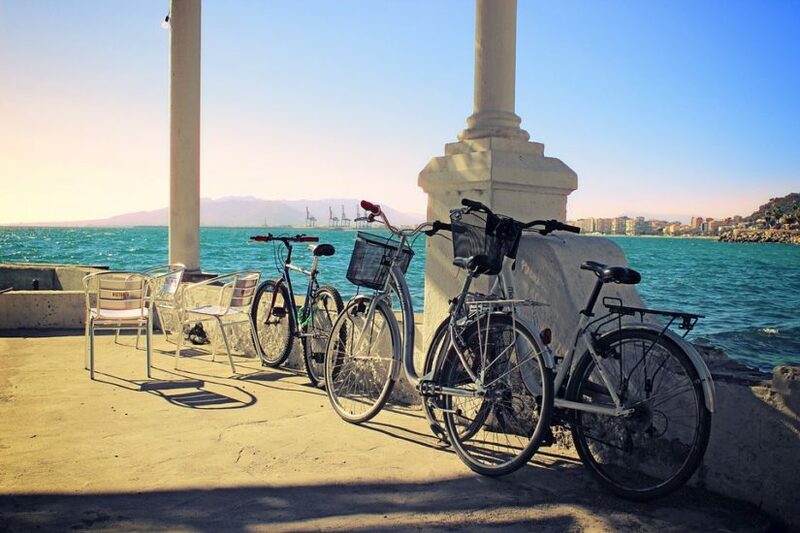 Now is the best time in Malaga for long walks, enjoying the first rays of sun on empty beaches and savour the authentic Malaga before the avalanche of tourists in summer. Spring is an excellent time to discover nature, I can recommend some of the easy hiking routes in Malaga. Another option is to visit the Concepcion Botanical Garden. 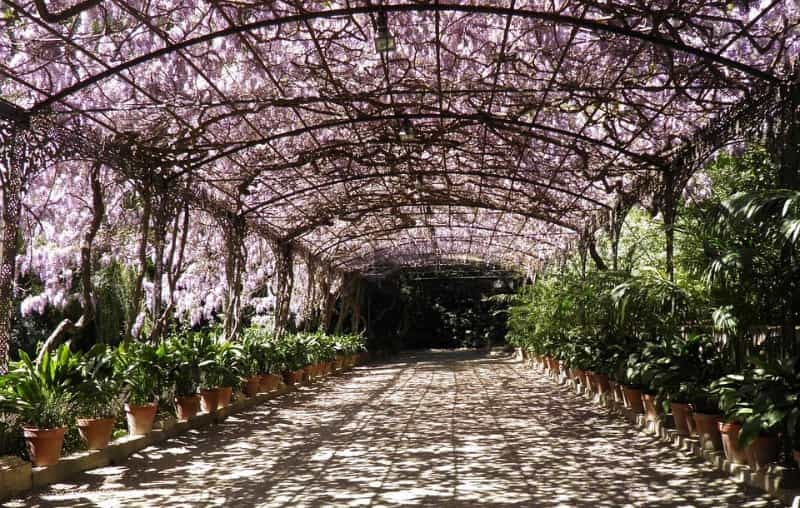 In Estepona you can visit the Estepona Botanical Garden, they say the best time of year is during spring. If you want to enjoy nature and breath-taking views you can visit the cable car of Benalmadena. Visiting Malaga in April or May is an increasingly popular option among tourists, there are many activities you can do. The equinox marks the end of winter and symbolizes the desire for renewal and new beginnings. The rituals that I will comment on are symbols that can mark your purpose of marking a new beginning and a change of direction in your life. What you plant will be what you get, don’t expect to plant a jasmine and get oranges. You must plant whatever you want to bloom; this applies to life and the efforts we make throughout our lives. You can plant beautiful flowers, herbs for cooking, a tree to take care of over the years. This is an activity where you can also decorate beautiful flowerpots. You can even involve children – they’ll certainly be encouraged! You can dedicate yourself to cleaning thoroughly this day, it doesn’t have to be your home. How about a car cleaning inside and out? Will make it you to feel better? The beginning of an interior cleaning? From eating only vegetables for a week to adding an apple a day. A closet cleaning? Maybe it’s time to give the clothes you don’t wear. It doesn’t have to be something permanent, it can simply be something temporary that reactivates your organism or your mind. As the day lasts longer, it is perfect for hiking and enjoying nature. The time you spend on a walk can reduce depression and help your mood. I can offer you easy hiking trails to do with children or a nice spring trail to visit the almond blossoms. Change intentions are fine, but easily forgotten. Some people make them on New Year’s Eve and in less than a couple of months they don’t even remember. It is always good to associate them with acts that remind us of them; the beginning of spring seems a good time to take them up again or start something new. As suggestions things as simple as telling someone your purposes can serve to not forget them. Another idea is instead of having only one purpose, to have three that are related. This way it will be easier for you to focus your entire intention on achieving them. How do you enjoy the arrival of spring?